apps available on mobile first. As with most MTK phones, you can easily root them with Kingroot. Disclaimer: You’re doing it at your own risk and I won’t be held responsible in case you eventually brick your device or lose your warranty. 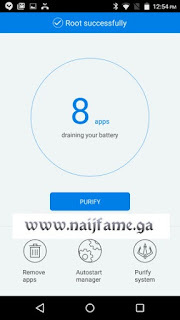 If you’re just getting started with rooting, you should know that after rooting your phone, it’s advisable to unroot before performing an OTA update or restoring factoring settings. 2. Go to Settings > Security and enable Unknown Sources . 4. You need a working Internet connection on your phone to make this work. Click on Start Root . 5. You should see the progress but you may have to wait for some minutes. 6. In case this shows up, you may choose to decline. You can now close Kingroot. Rebooting your phone is a good idea. 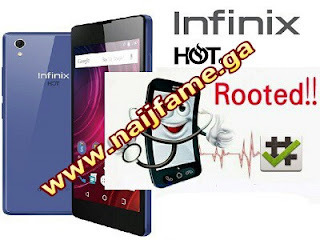 Rooting Infinix Hot 2 is as easy as that. I’m sure the latest version of Kingroot should work as well. Thanks for this useful tips.